We’re all drawn to the allure of the unexplainable and the mysterious. Although nowadays most weird phenomena or strange occurrences are often quickly dismissed as hoaxes or misunderstandings (or even worse, viral marketing campaigns), our keen skeptical attitudes and modern science can’t explain everything. Some of the following examples may have their fair share of plausible theories and solutions attached to them, but they have acted as tantalizing proof that sometimes the mystery is much more entertaining than the truth. Prompted by the tragedy of the Manchester Air Crash in 1985 where 54 passengers died from the inhalation of fumes from the burning fuselage, former hairdresser turned amateur chemist Maurice Ward attempted to create a heat resistant material which did not produce toxic fumes or smoke when it was burned. Experimenting with different formulations of plastics Ward came across a compound which was able to withstand massive amounts of heat without giving off fumes or even getting hot. The substance – known as ‘Starlite’ – could be painted on a material where it would then set hard and rigid. Ward’s most popular experiment was painting an egg with Starlite and then heating it with a blowtorch for 5 minutes. The egg could be picked up without burning a person’s hand and, remarkably, was still raw and uncooked when it was cracked open. Starlite featured on BBC science show Tomorrow’s World and Ward was even interviewed on 60 minutes. He allowed testing of the compound by the International Defence Review and NATO where it withstood intense energy from high-powered lasers and even from the energy of an atomic flash. However, Ward refused to let anyone keep the samples for fear they would be reverse engineered and he never patented or discuss the composition of Starlite. Ward was apparently never offered a sum of money that was high enough for consideration and he took the formula to his grave when he died in 2011. It’s unknown whether Starlite truly was a revolutionary super material or a sophisticated chemical party trick. The coast of the Salish Sea in America and Canada has been the site of one of the strangest unexplained phenomenons in recent years. Since August 2007 at least a dozen human feet have washed up onto the shores of British Columbia in Canada and Washington in America. The feet were all wearing rubber-soled trainers or shoes, leading scientists to believe that they had detached from the rest of the victim’s body as it decomposed in the water so that only the foot was left behind. Theories are divided about the identity of the victims and why so many feet – and not other human remains – are washing ashore in one specific (albeit pretty large) area in such a relatively short period of time. 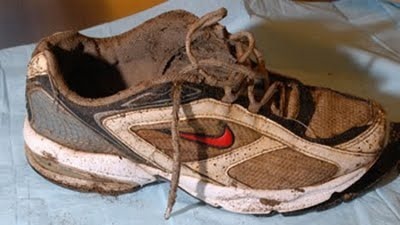 When the feet first began to appear, early theories speculated that they may have belonged to the victims of a plane crash from 2005 or even from the 2004 Asian Tsunami. One foot has been identified as belonging to a missing man who had suffered from depression and two were linked to a woman who threw herself off the Pattullo Bridge in British Columbia, so some believe that suicide or accidental drowning are the most likely answers. However, with oceanography experts speculating that the remains could have floated in on ocean currents from 1,000 miles away, it is peculiar that they keep seem to be finding their way to this location. Few mysteries are as riveting as ghost ships. Vessels which are found adrift on the water with no living crew onboard inevitably lead to fervent speculation about what could have happened to these mysterious ships as they made their travels across the oceans. The Marie Celeste is arguably the most popular example of a ghost ship and to this day no one knows exactly what happened onboard the final voyage of the merchant brigantine. 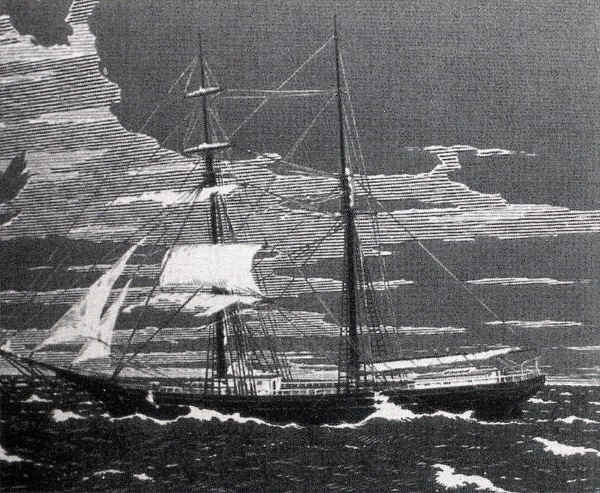 Marie Celeste set sail from New York on 5th November, 1872 on a course toward Genoa, Italy. The impressive ship was carrying a fairly expensive cargo of 1701 barrels of alcohol, but it never reached its destination. Discovered drifting in the Atlantic Ocean a month later on 5th December, the ship was completely wet and two of its three pumps had been disassembled (other equipment was also found to be either broken or missing) but it was still very much seaworthy. The ship had plenty of food and water and there were no signs of violence having been committed. However, none of the ten crew members were anywhere to be seen and their possessions were still on the ship. When the cargo was unloaded in Italy nine of the barrels were found to be empty. Piracy and mutiny have been widely disregarded as possible theories and it has also been argued that the captain was too experienced to have lost course. One of the strongest theories suggests that a buildup of toxic fumes from the alcohol caused the captain and the crew to make the decision to immediately abandon ship in the lifeboat. However, even this seems unlikely as the boarding crew found the cargo hatch secured and they didn’t smell any alcohol vapours when they came onboard. Although many have speculated over the years, it seems unlikely we’ll even know the truth behind the abandonment of the Marie Celeste. 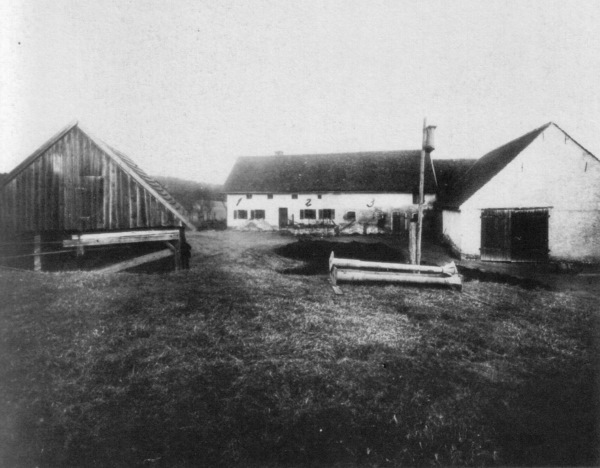 The Hinterkaifeck murders are one of the most chilling ‘whodunit’ mysteries in true crime history. On March 31st, 1922, the 5 members of the Gruber family and their maid were brutally murdered at their secluded farm in rural Germany. The six victims had been brutally attacked and killed with a pickaxe and were discovered 4 days later by concerned neighbours who had not seen the family around town. It was found that four of the victims had been somehow lured to the barn before they were murdered and that 7 year old Cäziliahad had survived the initial assault but tore out her hair in tufts as she lay dying next to the bodies of her family. During the police investigation, neighbours reported that Andreas Gruber, the patriarch, had told them that he had seen footsteps leading up to the farm from the nearby forest but none leading back out. He also said that he had heard footsteps in the attic and found an unexplained newspaper in the kitchen. It is believed that the perpetrators stayed at the farm for several days after the murder, feeding the cattle and even making themselves food in the kitchen. A large amount of money was also found undisturbed at the farm. Police made immense efforts during the investigation and interviewed more than 100 people (one was as late as 1976). The case was reopened in 2007 and looked at again with modern forensic techniques but the chilling Hinterkaifeck Murders remain unsolved to this day. The Antikythera mechanism is one of the most baffling discoveries from the Greek period. Recovered from a shipwreck found near the island of Antikythera in 1900, the artefact is a small and intricate bronze machine consisting of gears. 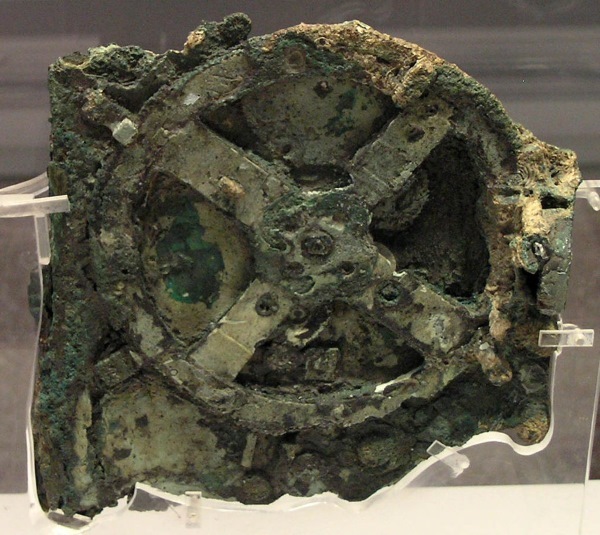 The bronze was heavily corroded and many pieces and fragments were missing so the purpose of the Antikythera Mechanism eluded scientists for decades. However, recent X-ray topographic studies revealed that it was used to predict celestial events and eclipses with unprecedented levels of accuracy. Dated to around 100 BC, the Antikythera Mechanism is thought to be the earliest example of an analog computer. No other device has ever been discovered from the period with comparable technological sophistication and workmanship. 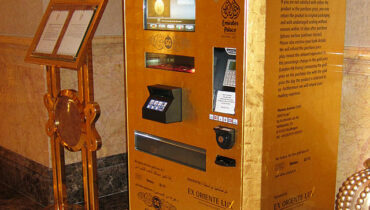 In fact, it wouldn’t be for at least another 1,000 years until such mechanical devices were found to be in use. The mysterious object continues to mystify scientists and researchers who know nothing about its genius inventor and how their astronomical and mechanical expertise went unnoticed and lost for centuries. 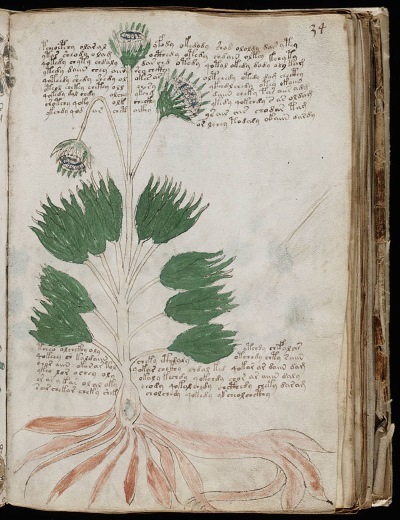 Cryptographers and researchers have been baffled by the secrets of the Voynich Manuscript since it was brought to the public attention’s in 1915 by polish book dealer Wilfrid Voynich, who purchased the manuscript along with other second-hand publications in Italy in 1912. Dating from the early 15th century, it is not known who the author of the text is or even what writing system has been used. The manuscript appears to have some sort of linguistic structure and statistical properties similar to real languages which has lead many to believe that it was written in a sophisticated code or cipher. The text has proved to be something of a holy grail for cryptographers and it has been examined by many prominent code breakers and linguistic experts to no avail. The illustrations contained in the manuscript have also puzzled researchers as they too fail to shed any light on its true meaning. Herbal and astronomical diagrams are found throughout the manuscript which suggest something of a scientific context, but researchers have failed to find any real kind of meaningful purpose behind the confusing drawings. Although some pages are thought to have been lost over the years, around 240 pages of text and illustrations still remain. Some believe that the Voynich Manuscript is a highly sophisticated hoax with no real meaning while others hold on to the hope that they will one day crack the code behind this intriguing, secretive text. While travelling in Siberia in 1949, geologist Vadim Kolpakov happened upon a large and mysterious crater on a slope of Patomskiy upland. With a diameter of 160 meters and a height of 40 meters, The Patomskiy Crater, also known as the Kolpakov Cone, has an estimated volume of 230-250 thousand cubic meters and a weight of around about one million tonnes. 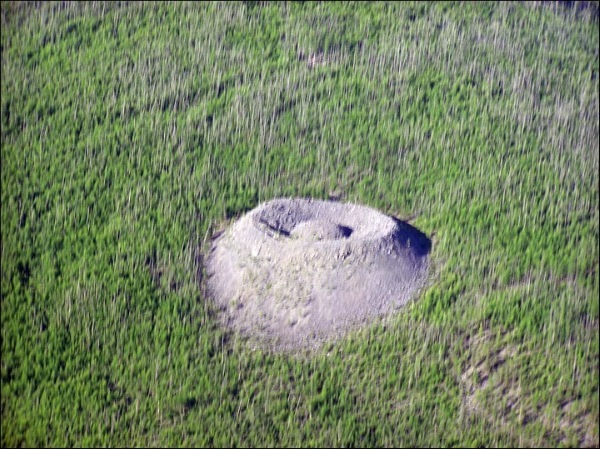 The appearance and origin of the strange shaped mound has baffled scientists in the years since its discovery. Samples taken from the site have dismissed a theory that it is the result of an uranium ore explosion and its appearance clearly shows that it is not manmade. Some speculation has suggested that it could have been the result of a meteor strike or a volcanic eruption. However, with no volcanic activity present in the area and the shape of the crater being completely wrong for a suspected meteor impact, the Patomskiy Crater remains a puzzling anomaly with an undetermined origin. Many classic unsolved mysteries involve strange lights in the sky, but most UFO sightings are usually quickly dismissed as meteorites, passing satellites, reflections of light or natural occurring phenomena. Still, a healthy dose of skepticism doesn’t mean that alien enthusiasts have to give up the hope that they’ll one day spot extraterrestrial activity passing overhead. Some of the most mysterious UFO sightings were spotted by Allied pilots during during WWII. Codenamed ‘Foo Fighters’, pilots reported seeing strange, fast-moving objects trailing their aircraft. The glowing ‘bogies’ displayed quick maneuvering techniques and rapid movements before they quickly vanished from sight. This is a particularly interesting case as the Foo Fighters weren’t just a one-off sighting. Many incidents occurred around the world and the behaviour and appearance of the objects were all fairly consistent. Early reports speculated that the Foo Fighters were experimental enemy weapons, but we now of course know that enemy forces never had such technology at their disposal. Other theories for Foo Fighters include ball lighting, electrical discharge from the aircraft’s wings and even hallucinatory visions experienced by the pilots, but no definitive explanation for this strange wartime phenomena has ever been agreed upon. The Amber Room was a breathtaking piece of art which showed off the excesses of Prussian nobility. Built between 1701 and 1710 for Friedrich I and installed in Berlin City Palace (the historical capital of Prussia), each wall of the opulent chamber was backed with amber panels and covered in gold leaf and mirrors. In 1716, the room caught the eye of the visiting Russian Tsar Peter the Great and it was presented it to him as a gift to strengthen the Prussian-Russian alliance. The 6 tonnes of amber was relocated and renovated in the Catherine Palace of Tsarskoye Selo near Saint Petersburg. 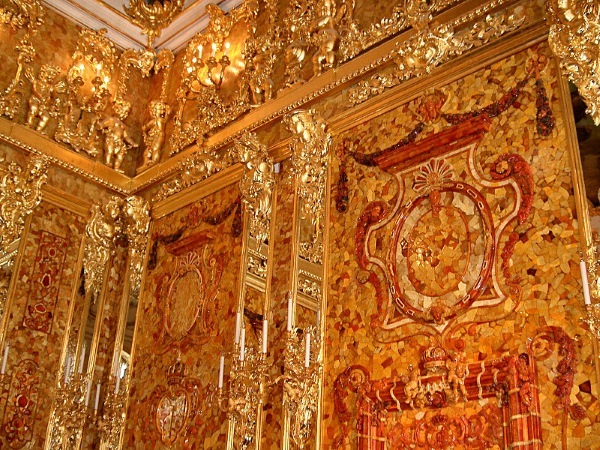 Sometimes dubbed the Eighth Wonder of the World for its amazing craftsmanship and expense, the Amber Room became an obvious target for the Nazis when German forces invaded Russia during World War II. Despite attempts to conceal the room and make it look ordinary, the room was sought out and quickly discovered by enemy soldiers. The contents of the Amber Room were disassembled, packed into crates and delivered to the Nazi-controlled Königsberg Castle. After the war it was never seen again. Almost 80% of the city was destroyed by heavy aerial bombing from the RAF and from advancing Soviet artillery in the latter years of the war. The castle was also burned down during the Battle of Königsberg, so it seems likely that the Amber Room was destroyed. However, some eyewitnesses claim that they saw the crates leave the castle before the city was counter attacked and that the prized artifact was actually sent by the Nazis to a new location. Despite attempts to locate the Amber Room following the end of the war it seems likely that the fate or possible location of the artwork will forever be a mystery. Number stations are a fascinating modern day phenomenon. Number stations use shortwave radio signals to broadcast unusual and sometimes downright creepy signals. Some of these broadcasts have been known to include morse code sequences, lists of numbers, incomprehensible synthesised messages and even backwards playing music. Although some believe that number stations could have been operated during World War I (which would make them some of the earliest radio broadcasts), they came to prominence during the Cold War as amateur radio enthusiasts were able to stumble on strange recordings which were clearly intended for secretive means. It’s widely accepted that number stations are transmissions made by government and military organisations as a means of communicating encrypted messages for intelligence purposes. One of the most intriguing frequencies is UVB-76; a transmission broadcasting on frequency 4625 kHz which has been found to originate from Russia. UVB-76 broadcasts a short buzzing sound at 25 tones per minute, for 24 hours a day. The station has been broadcasting since the early 80s and on very rare occasions the tone changes or voices can be heard reading out codes. A keen interest has been paid to UVB-76 and the broadcast is constantly monitored by enthusiasts hoping to find purpose behind the strange station and maybe an insight into secretive Russian military operations. Great article! Thanks for writing and sharing!